On Monday we made the decision to turn south into Colorado from I-80. The soonest appointment we could get at Camping World was one week out. We booked a campground with our Passport America membership and we were pleased we could park for one week and settle in. On the trip down to Colorado the receptionist at Camping World called us to let us know there was a cancellation for Tuesday and we would be getting in bright and early the next morning. We took that opportunity figuring if a part needed to be ordered we would be in town for a week. 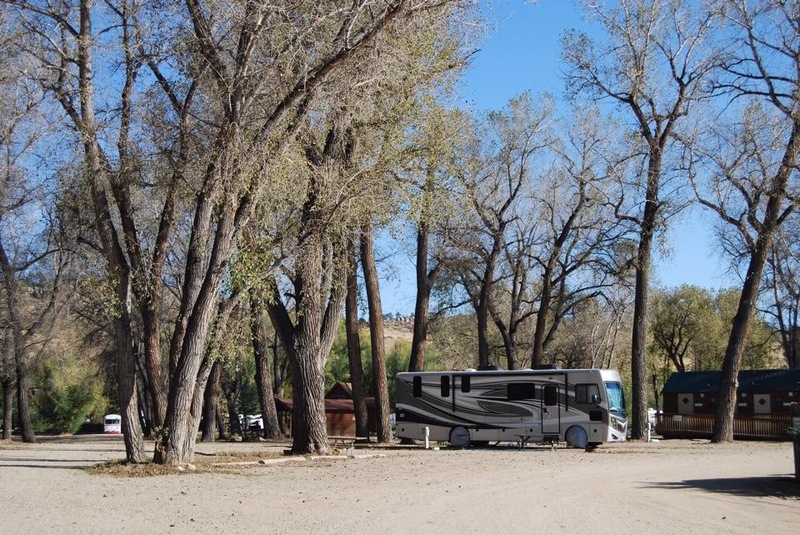 We arrived at Riverview RV Park and Campground Monday afternoon and quickly settled in. The site was nice and level with full hookups but every camper near us smoked (not just cigarettes). It was like being in a smoking lounge. We had to close up all our windows and sit inside to avoid the smell. John called the campground the next morning and they were very accommodating and moved us to a beautiful location under huge cottonwood trees. On Tuesday morning we got up early, packed up and headed into Camping World in Longmont, Colorado. It took us about 40 minutes to get there. We arrived and the gentleman checking us in said it would be about 10-days before they could get us in for our service work. We explained to him that we had made an appointment for the following week and then we got a call asking us to come today. So, long story short, the receptionist should not have asked us to come in on that Tuesday as they were horribly overbooked. They were very nice and called extra help in to take care of our tow car issues. The work was done within 2-hours and was covered under warranty. Thank you to Roger, at Camping World in Conway, NH for helping us get this done. We are now legal again with brake lights and directionals on both sides of the car. While we were waiting at Camping World a couple came in (without an appointment) because the tire in their motorhome had suddenly lost pressure. Camping World was not able to look at their tire or get air in it. John and I offered to inflate their tire using our Viair RV tire inflator. We had purchased this before the trip to make sure we could keep our tires properly inflated during our journey. They took us up on our offer and in 15 minutes their tire was inflated and they were on their way. The gentleman said he was going to get one of these after seeing it in action. It is really nice to know how great it works and it is nice to be able to help a fellow camper in need. We made a quick stop on the way back to our campsite at world famous Johnson’s Corner. The staff at Camping World said we needed to pick up some of their famous cinnamon rolls, which will be eating this morning. 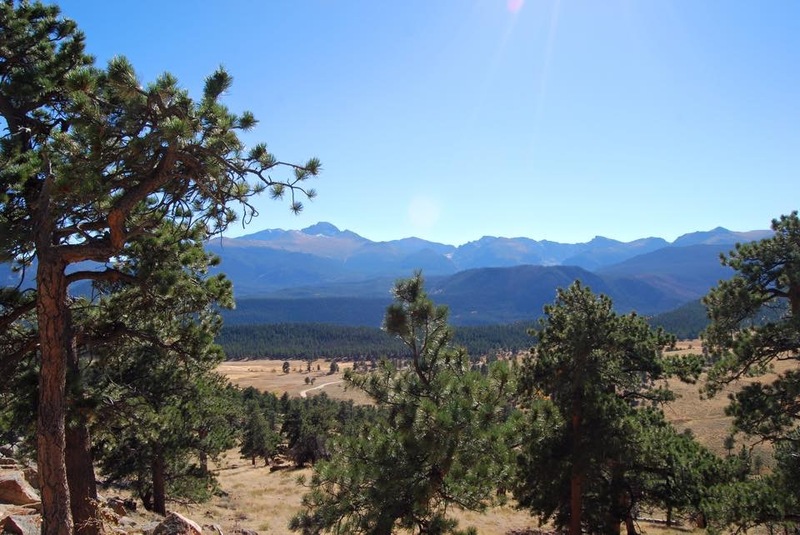 We quickly set up camp in our new site at Riverview campground and took a drive into Rocky Mountain National Park. The drive through Big Thompson Canyon was stunning. We only had a few hours to explore so it was a driving tour day with some pull outs for pictures. The park is beautiful but the trails are not “dog friendly” so Gizmo will not be hiking here. 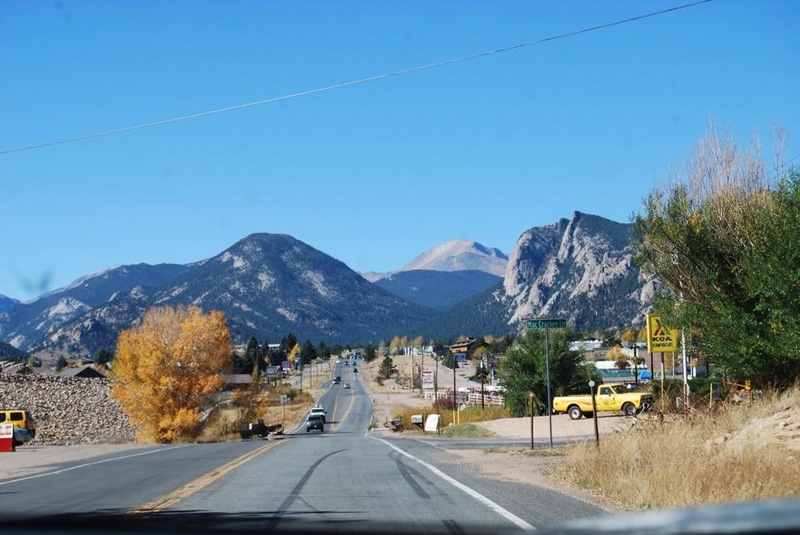 This entry was posted in Lori loves her tech gear, The journey west and tagged big thompson canyon, camping world, devils backbone, Johnson's corner, passport america, Riverview campground, rocky mountain national park, viair. Bookmark the permalink. 1 Response to Got Air? I am so intrigued and, as a future RVer, appreciate the valuable information. You seem to be having the adventure , and then some, you desired. Hugs to Gizmo for being a great camper.